Emily Francisco: [explaining to Sikes their "different" way saying grace before eating] It's a remembrance of Andarko & Celine, a male & female who lived a long time ago and sacrificed themselves to save millions. We try to live by their example. We touch our fingers to each of our two hearts. Then reverse them to show that the male & female are interchangeable. We touch our heads to bring purity and goodness within us. 'Alien Nation' was probably was one of the best sci-fi shows of its time, taking the buddy cop idea and adding in aliens. A television series, based on the 1988 James Caan film, revolves around Detective Matt Sikes and his alien partner George Francisco. George's people were slaves who managed to escape their masters and are now making a new life for themselves on Earth, where they sought refuge. The aliens' arrival not only bring about much bemusement as human struggle to adapt to their new guests, who have many quirks such as getting drunk on soured milk and the fact it takes three for them to have a child, but there is much prejudices between the two races. 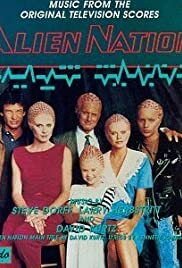 'Alien Nation' had the humour and action that you'd expect of any cop series but with the added intrigue of how humans would cope with such an event, touching upon racial tensions between the two races that are clearly analogy of what America was like in the Sixties as black people fought for their right to equality. 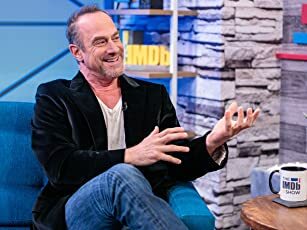 That said, the serious issues raised doesn't detract from this being a fun and entertaining show as we see the situations reckless Matt gets into with the calmer, family man George. It's just a shame it was cancelled only after one series (although Fox obviously realised their idiotic mistake as they revived the characters in the Nineties with a number of made-for-TV films). Why do decent shows never get a chance to prove themselves?